As part of Andrew Reid’s Halloween Shorts I’ve agreed to write a short story. I decided to write something set in the world / mythology I’ve created for the Blackhart Legacy, but I didn’t want to use the main characters from the series because I want you all to read about Kit and Thorn when Banished comes out next year and have it be fresh and not tinged with what you’ve read before. I opted to write a mini-adventure for Megan. Megan is Kit’s cousin, closest to her in age. Megan is one of these girls you’ll see in magazines or in movies or on the street and what you see is this cute as hell girl, big eyes and sweet expression. You don’t see the blade or the cunning. This is her adventure in New York on Halloween. This story takes place between books 1 and 2 of the Blackhart Legacy and again, even though it’s set in the same world it’s not part of the trilogy I’m writing for Tor. Midnight on Halloween in New York. A fairy tale dream, especially when you look down and see everyone dressed up, looking different, weird, magical and in some instances, downright dreamy. And those are the guys and girls you really should worry about, the creatures that show too much teeth when they smile. The ones you feel yourself drawn to, the ones you want to sway towards and hold on to. They are the monsters, the takers, the thieves. Be careful of them. I’ve spent my whole life being careful of them. But tonight…tonight I am the thief. I take one last lingering look around me, loving this city with all my heart. I love it, possibly more than I love London, or San Francisco or even Tokyo. But I’m not blind to its shadows. There’s a reason New York is the thinly disguised Gotham in the comics and movies. New York is the doll with the beautiful face but at her core she is wicked and filthy, just like all of us in real life, regardless of our facades. I laugh at my dramatic thoughts and the wind snatches it away from me. I take a few steps backwards to compose myself before I run forward and leap into the night, my arms outstretched. The apartment I’m breaking into doesn’t seem all that impressive when considering the size of the apartment block itself and who some of the other tenants are. The furnishings are modern and expensive but not opulent or gaudy. I make short work of the alarm system attached to the patio door and slip inside. I tuck my tools away into my belt and pause there for a second, not for the first time wishing I had my cousin Kit’s ability to sense magic. It makes life easier when breaking and entering a Very Bad Man’s lair. And this place, even though it looks unremarkable, would not be left unguarded or unprotected. I’m in the large living room and everything looks so banal and normal…if everyone you knew had massive leather couches, a giant flatscreen tv and hidden speakers, that is. There are fresh flowers in the entrance hall and the scent of them lingers in the still air of the apartment. I ghost through the living room, past two guest bedrooms and eventually find the study. The hair at the nape of my neck stand up a little as I run a gloved finger over the panels in the door. The door, unlike the rest of the apartment, is old. Like, proper old. 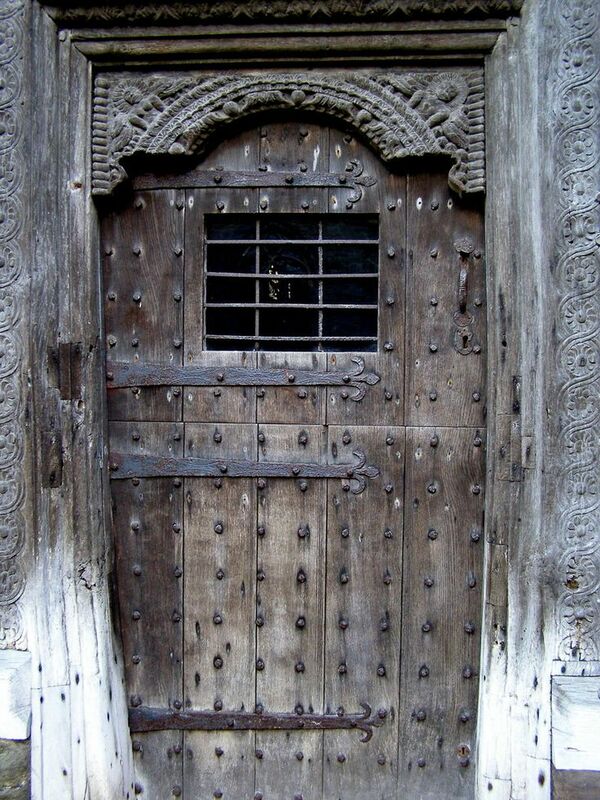 The type of ancient door you see in video games or movies that usually end up being portals to other dimensions. I check for alarms and spells. There are both. The everyday, highly overpriced alarm is a cakewalk to bypass. Before I tackle the magic, I crush a small amount of incense in my palm, making a tiny wish. I take the small bag of enchanted iron ground filings from my backpack and toss them towards the door. They behave like a swarm, going nowhere near the door itself, which tells me that it’s a Fae spelled door. Fae magic and iron do not mix, like oil and water. I click my fingers and the filings flit back towards me, settling back down easily enough. I stow them back in their little pouch that fits into my small backpack. I hook my Bluetooth headset onto my ear and dial Kyle’s number. I take the few deep breaths, aware of the invisible clock ticking away somewhere, and suppress my impatience. The wall? I stare at the wall. It wore really lovely wallpaper. I bet it was expensive. The door opens and a young guy stands there and I have such a fright I almost drop the chalk. “Kit, there’s a dude here, staring at me.” That’s me. Stating the obvious in sotto voice. Give the guy his due, he didn’t bat an eye at me ogling him. Probably used to it. I look at him and I all I see is a cliché dressed black jeans and a ratty t-shirt and eyes bluer than the Med. And he’s hot. Seriously hot. The ‘something’ she’s talking about is a gift. Working on the fringes of our world, in Fae speak the Frontier, where it meets their world the Otherwhere, you sometimes need favours to be done. So you always carry trinkets with you. Loose precious stones are the best and easiest way to procure a Fae or demi-god’s service without promising to help them in the future; owing a promise to a faery never ever turns out well. “Yes. I’ll be fine from here on.” I feel a bit self-conscious talking to her on my hands-free whilst staring at this guy, Jimmy, but he seems the patient (hot) type and he’s checking me out and I feel a bit dizzy so I focus on movement in the shadowy void behind him. “Be careful, Megan.” Kit’s voice holds a deeper meaning than your average “be careful of monsters lurking in the dark”. “Ill do my best,” I promise in turn before I stuff my Bluetooth headpiece in my pocket and smile winsomely at the boy in black. He doesn’t say anything and instead just nods briefly and holds out his hand. (Long fingers, big palms, nice capable hands and clean nails. A winning combo, imo.) I hand him a small ruby, the size of my little finger’s nail. He disappears it on his person with the finesse of a stage magician. And unlike any sane girl who knows better than to follow tall, dark and brooding boys, I follow him across the threshold into the greyness beyond the door. I think longingly about my sword in the boot of my car parked a few blocks away. I think longingly of my bedroom and the safety it represents and suppress a sigh. I just knew this little jaunt to liberate this bloody reliquary wouldn’t turn out well. The door closes behind me and I hurry to stay close to Jimmy. We’ve not even moved forty metres when the attack comes. My attacker looms over me in the strange grey mist and takes a swipe at me. Its talons whip past my nose and I see Jimmy parry blows with a cloaked figure. Where did those swords he’s using come from? And how is it that he moves the way he does? I’ve never seen anything like it. Its like he’s a boss-level badass ninja or something. The creature attacking me is ugly and smells of old garbage. I twist my body sideways to prevent its fist connecting with my ribs so instead the blow’s deflected, but even so, it hurts and for a second I’m off-balance. I make a show of staggering wildly and as it follows me, I right myself, spin and punch my knife into its neck, just where it joins the shoulder. Much to my surprise its skin (hide?) hardly offers any resistance to the blade and it slides all the way in to the hilt. I whip it out and stand back and watch as it clutches at the wound spewing out foul smelling green blood between its fingers. Its eyes, large and bulbous, peer myopically at me before it drops to its knees and I hastily move away to stop the blood from staining my new boots. “Good job.” Jimmy nods towards the fallen body. The guy he fought lies crumpled a few metres away, also looking like he’ll never get up and do a dance again. “No idea. Didn’t stop to have a chat.” The smile he gives me is savage and devastating. I shrug, admitting that I never thought about the Fae I interact with as having actual jobs. Mostly I just send creatures from the Otherwhere back to Suola or the Sun King for sentencing and walk away. And do the next job when it comes up. We’re walking again. I have no idea where we’re walking to because I can’t see anything apart from the mist all around us. Occasionally I sense something moving past us, but I can’t be sure. I watch him take out a key, maybe as long as his forearm. It looks like it is heavy and again, I’m not sure where he’s taken it from, but suddenly it’s just there and he’s turning it. As he turns it, a keyhole takes shape around it, then the door itself. The door doesn’t look dissimilar to the one I just entered through. It swings open on silent hinges, showing a comfortably large study more suited to a Victorian gentleman explorer than feared occultist and magic dabbler. Bookcase lined walls and comfortable couches give me the impression that this isn’t a place where bad things happen but really, appearances can be lies. “Are we safe?” I ask Jimmy who looks very interested in the room beyond his doorway. Let me just say, having an audience watching your every move as you do your B&E shtick is really off-putting. I fumble the safe (behind the fake Renoir, really?) and almost drop the stupid little silver box holding the equally stupid bone of some saint or other. People are weird. People who like magical artefacts and odd little bits of bone? Weirder still. Once it’s tucked away and I’ve closed the safe and rehung the badly faked Renoir, I silently congratulate myself on a job well done and head towards Jimmy. He levers himself away from the doorjamb and motions for me hurry. His gaze slides from me to a point behind me and something tells me it’s best not to ask what’s going on. I lengthen my stride and he slides a blade out from the air in the general vicinity of his shoulder whilst reaching for me with his free hand. I grab it and he pulls me across the threshold. Once past him I spin around to try and catch a glimpse of the what was behind me, but the door’s already closing. My impression is of a tiny frail-looking woman, bent over with age, dressed in a grey cardigan and colourless housedress. “Who was that?” I ask him, watching him lock the door with the giant key and disappearing it into the air. His unease, his body language, the way he looks over his shoulder puts me on edge and I really wish I had my sword with me. And Kit. Kit’s magic is still new to her but she can at least light up this gloom and show me what’s lurking at the edges of my vision. “Right. Of course. I’m vigilant.” I sharpen my gaze but it doesn’t really help. There are things in the gloom that move. I swear I see a tentacle briefly but none of it shapes into anything concrete or well, fleshy. Jimmy halts, in the middle of nowhere, and slides the key into the keyhole. I desperately wonder if I’ve left anything upstairs that can be tracked to me or my client, but I don’t think so. The door swings open at the back of the apartment building into the alleyway. Jimmy leans forward to check the coast is clear before nodding. “Always.” There’s a shift in the gloom behind him and I see the boar tusks that belong a goblin and a flash of red on his head. I react without thinking, blurring into a flurry of blows and a head kick that sends the redcap sprawling. I straighten my pose and smile at him, only a little out of breath. I step out of the doorway and breathe in the cool brisk night air. Jimmy lifts a hand and I see him grinning at me ruefully before the doorway shuts. Faeries, man, they mess with your mind. My car’s still parked over on E61st Street where I left it. The drive to the meeting with my client takes less than ten minutes at this time of the night. She’s waiting for me in a tiny Bijoux coffee shop in Midtown. I sit down and pull my backpack onto my lap. She’s in her late fifties and immaculately turned out. She reminds me a bit of Meryl Streep, with smooth skin and sharp features. Her ringed fingers dip into her large purse and she brings out a small jewellery box. I prise off the lid and shake the box to properly see the little diamond brooch she’s stuck to the velvet interior. I recognise the design and nod my head. It’s my turn to dig into my backpack. I take out the silver box and push it towards her across the table. There’s a slight tremble to her hands when she takes it from me. She lifts the lid and breathes out softly, her features smoothing into a relieved expression. “Thank you, Miss Blackhart. You’ve been of great assistance.” She stands up and shrugs into her voluminous fur coat, adjusting her huge bag hanging off her arm. She gives me a nod and moves towards the doorway. “Dobro pozhalovat,” I say, wrapping my tongue around the Russian words. It slows her down for only a second. “I’m not sure what you’ve just said,” she says, but there’s a tremor to her voice and her expression is wary. “Glupaya devchonka.” With that she flings the door open and bursts out into the night. I don’t know a lot of Russian but I do know when someone’s just called me a silly girl. I sigh and sling my backpack over my shoulder. “Your grandmother?” the lady behind the counter asks me as I head after my client. “No. Baba Yaga,” I say and watch her blanch. The power of faery tales never quite leave us, not even when we’re adults and should know better. I wonder how I’m going to tell Jimmy when I see him again that we’ve been tricked into letting an aspect of Baba Yaga free. Weren’t all the stories about her and bones? I watch a long sleek black car pull out into the traffic. The driver doesn’t acknowledge me but the two women in the back do. I recognise them both. One is my client, the other is the crone I saw briefly in the study before Jimmy shut the door in her face. She’s smiling at me and looks very much like the cat who stole the cream. I also, for your delectation, put together a small pinterest board so you can see what I imagine Megan and Jimmy to look like. For the love of coffee shops!